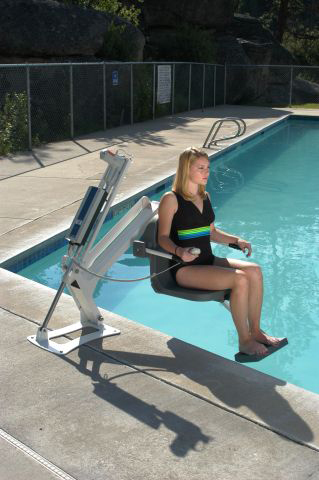 The Pro Pool Lift has all the features of the Ranger Lift but offers a greater lifting capacity of 32 stones (204 kg). The lift is fully automatic so can be operated by the user, if able, to help retain their independence. A leg rest can be supplied as an alternative to the footrest which is supplied as standard. For users who would prefer to transfer from the right instead of the left side, there is a reverse configuration available.